Triton Controls, UK float switch and door sensor manufacturers, are a company with a go ahead attitude. 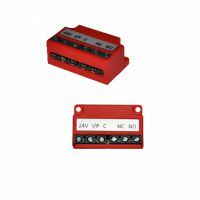 We design, manufacture and supply a wide range of our own brand of float switch, door sensor and electronic control systems. Utilising leading edge technology, we both design and manufacture our float switch and door sensor range of products, thereby providing considerable flexibility in meeting the needs of our customers. All products are covered by full after sales service and application support. Triton Controls was formed in 1992 on a firm foundation of many years in the float switch and door sensor industry. Our vast experience ensures Triton products are at the leading edge of electronic technology. Based in the North East of England, we offer a friendly approach to providing effective solutions to customer needs. The Triton Controls management team adopt a 'hands-on' approach, which ensures consistent quality and a high level of customer satisfaction. Our customer portfolio includes many prestigious international, national and regional companies, including Farnell In One, the leading global float switch and door sensor suppliers.